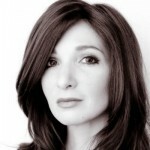 Nomi Prins: QE Is Coordinated & Has Gone Global - Wall St. for Main St.Wall St. for Main St.
During this 40+ minute interview, Jason starts off by asking Nomi about her new book, All the Presidents’ Bankers, and according to her research when did Wall St try to start buying off/controlling US presidents. Nomi talks about how she started her book in the late 19th century (1800s) and bankers like JP Morgan started cozying up up to bankers then and they ran in the same social and partying circles. Nomi talks about how money and political power enjoy each other’s company. Jason and Nomi talk about the Creature from Jekyll Island and then about FDR and how FDR secretly met with lots of Wall St bankers according to Nomi’s research for her book. Next, Jason and Nomi discuss corruption on Wall St and if it has increased since Nomi first began her career on Wall St in the 1980s. Nomi thinks corruption has increased massively because of the opaqueness of derivatives and financial products. Jason and Nomi discuss why corruption increased and Jason asks Nomi if the banks don’t fear failure because of the Federal Reserve backstopping them. Jason and Nomi discuss the role central banks like the Federal Reserve play in allowing bankers, hedge fund managers, etc to take enormous risk and not fear being fired, going to jail, etc. Next, Jason and Nomi discuss the global economy and why she thinks China is close to announcing a large QE program. Nomi thinks central bankers are coordinating their QE programs to help keep interest rates low and asset prices propped up. She thinks this can continue at least for awhile longer until interest rates go to zero in every major economy. Jason asks Nomi about why China, Russia and other G20 countries are creating the Asian Infrastructure Investment Bank, an alternative SWIFT system and doing enormous currency swaps and bilateral trade agreements. Nomi thinks many economic and political elites know the status quo is collapsing. To wrap up the interview, Jason and Nomi talk about the sickening amount of corruption in politics and if anything can be done to reduce the corruption.